Students at Littlehampton Primary School are regularly challenged in their learning and are encouraged to take part in rigorous dialogue to explain ideas and articulate their understanding. 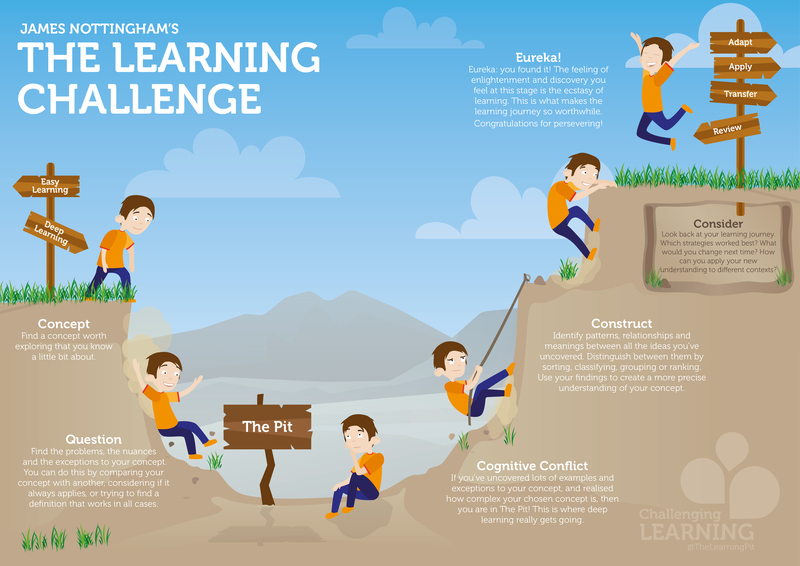 We use the Learning Pit to illustrate and teach this process. Please watch this video for more information. Supervision in the playground starts at 8.30am. Parents are notified by their child’s class teacher about classroom opening times. Variations of these times will be advised in advance. Starting at 2.25pm, parents are most welcome to attend. The Education Act requires that parents communicate with the school giving the reason for a child’s absence from school. A phone call on the day of absence is preferred. The reason for every absence must be communicated in writing on the child’s return to school. The school now has in place an SMS system that allows you to text the school explaining your child’s absence.